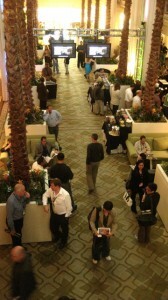 The 2012 American Film Market (AFM), kicked off this morning in Santa Monica. The AFM will screen more than 420 motion pictures, including 77 world premieres and 306 market premieres, for thousands of film buyers and industry professionals from more than 70 countries. Films making their World Premieres include: A Glimpse Inside the Mind of Charles Swan III, from writer/director Roman Coppola and starring Bill Murray, Jason Schwartzman and Charlie Sheen (Independent); The Colony, starring Laurence Fishburne and Bill Paxton (Sierra/Affinity); Cottage Country, starring Malin Akerman and Lucy Punch (VMI Worldwide); The Frozen Ground, starring Nicolas Cage, John Cusack and Vanessa Hudgens (Voltage Pictures); Nous York, starring Leila Bekhti and Géraldine Nakache (Pathé International); The Numbers Station, starring John Cusack and Malin Akerman (Content); and Pawn, starring Nikki Reed and Ray Liotta (Red Sea Media) and Summer In February, starring Dominic Cooper and Emily Browning (Speranza13 Media). This year’s film market has shown a preference for more “name” driven, higher budget projects signaling a slight shift in power toward the independent producers of the film world. While the zombie and horror movies that have long been the hallmark of the AFM haven’t gone away, more would-be producers of star-filled films will be working the halls of the Loew’s Hotel looking for independent financing or to secure distribution for their projects. “There has also been an influx of buyers this year” stated Jonathan Wolf, AFM’s managing director and executive vice president of Independent Film & Television. “We are seeing more new international buyers come to the market than in a decade,” he declared. The country with the most new buying companies this year is South Korea (25), followed by China (13), the U.S. (11), Japan (6), Turkey (6), and Russia (5), France (4) and Italy (4). New companies attending include Snap TV from Argentina, Lume Filmes from Brazil, JY Entertainment from China and Mountain Pictures from South Korea. 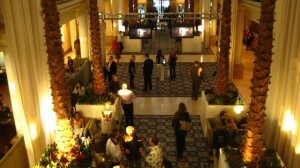 The American Film Market runs from October 31 to November 7, 2012. 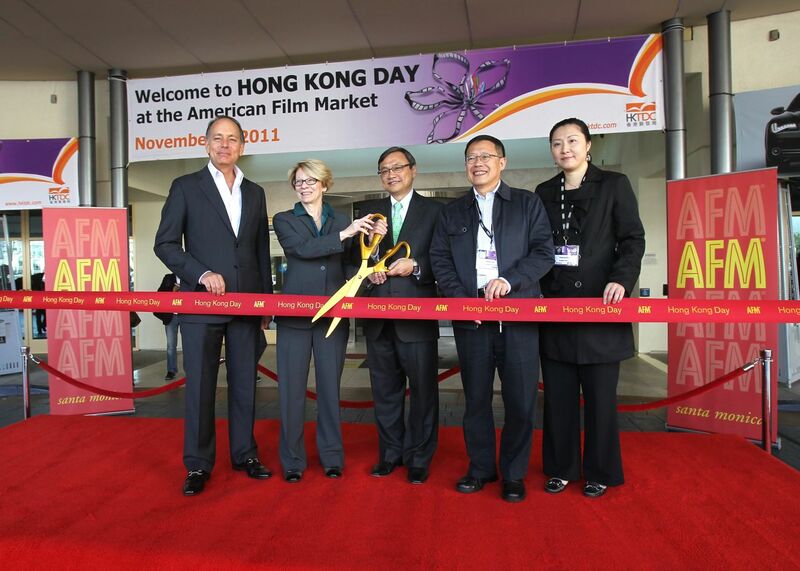 On Thursday, Nov. 3, 2011, Hong Kong Day was celebrated at the American Film Market (AFM). A series of events was put on by the Hong Kong Trade Development Council (HKTDC) to put a spotlight on the benefit of co-productions in Hong Kong. Day began with a ceremonial ribbon cutting at the entrance of the Loews Hotel, followed by a seminar about co-producing in Hong Kong and the China market, and a cocktail reception for invited guests. Los Angeles, CA (November 1st, 2011) – Academy Award-winning director Ron Howard attends the American Film Market to meet with buyers and talk about his vision for his new film RUSH on behalf of Exclusive Media Group (“Exclusive”). Alongside Exclusive co-chairmen Nigel Sinclair, and Guy East and Cross Creek’s Brian Oliver, Howard participated in a number of intimate round table meetings about the epic Formula 1 feature film and highlighted how he’d become such a fan of the sport. 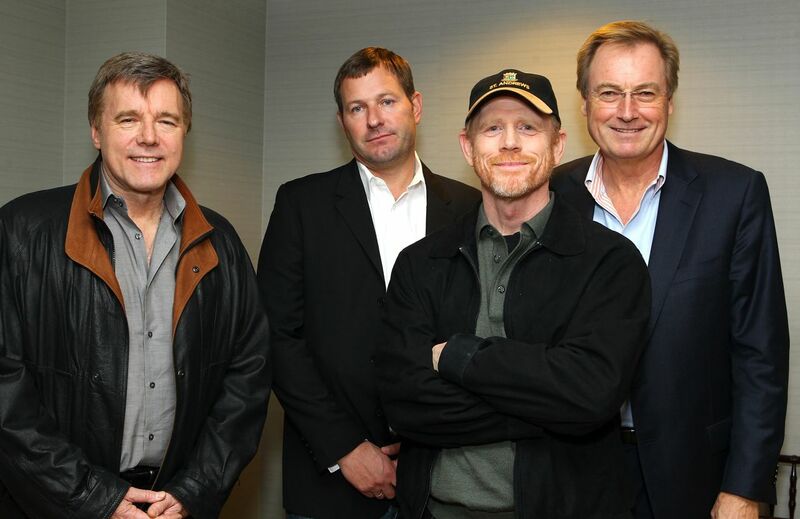 RUSH is co-produced and co-financed by Exclusive with Cross Creek Pictures. This marks the third collaboration between Exclusive and Cross Creek, who are also co-producing the picture with Imagine Entertainment, Working Title and Revolution Films. Howard, Brian Oliver, Brian Grazer, Eric Fellner, Peter Morgan and Andrew Eaton are all named as producers. Exclusive’s co-chairmen Nigel Sinclair and Guy East executive produce RUSH with Exclusive’s Head of Production Tobin Armbrust. Imagine’s Todd Hallowell will also Executive Produce. Chris Hemsworth (THOR) and Daniel Brühl (INGLORIOUS BASTERDS) star in the film penned by Peter Morgan (FROST/NIXON). 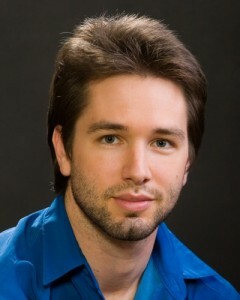 Alex Walton, President of Exclusive Films International, is debuting RUSH to buyers at AFM. 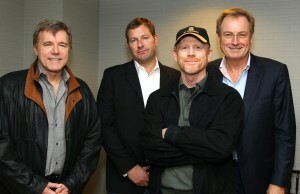 Currently in production, RUSH is being released by Universal Pictures in the US in 2012. 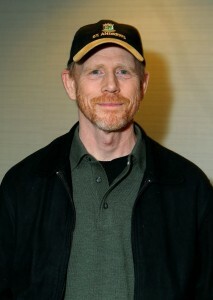 David Minnihan’s pitch of Father John will receive a People’s Choice Award as winner of the American Film Market’s 2009 Favorite Film Pitch contest, announced AFM Managing Director Jonathan Wolf and People’s Choice Awards President Fred Nelson. 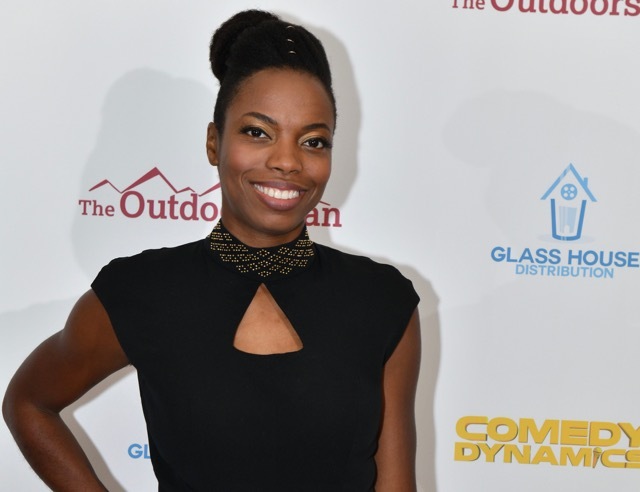 After casting tens of thousands of votes at www.peopleschoice.com from Jan. 6-20, the public named the pitch for the adventure spy drama produced by Minnihan and written by Steven G. Long as its favorite to receive an official Waterford Crystal People’s Choice Award. The winning pitch can be viewed at www.peopleschoice.com/pca/influence/AFM/. 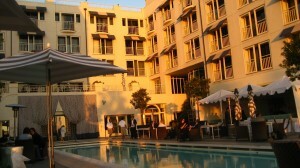 Additionally, Minnihan will receive an AFM 2010 package that includes full access for two to the AFM; airfare for two to Los Angeles; hotel for five nights in Santa Monica; and scheduled meetings with producers and distributors. AFM teamed with the People’s Choice Awards to create the Favorite Film Pitch contest, providing an increased opportunity to get film pitches in front of producers, distributors and, in a unique twist, the voting public. A St. Louis native and graduate of Webster University, Minnihan’s diverse media career ranges from supervising the casting of extras for Merchant Ivory Productions’ The White Countess to serving as a screenwriter and director for Shanghai’s Meiwenti Productions. He has also worked as an event videographer in the U.S., had his writing published in the world-renowned Senses of Cinema journal, and served as writer and editor for China’s national Dragon TV. 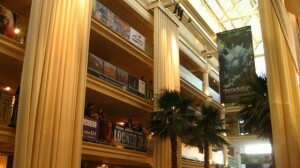 Submissions to the first Favorite Film Pitch contest were recorded live Nov. 7-10, 2009, at the American Film Market in Santa Monica. Each pitch was limited to two-and-a-half minutes and the five finalists were chosen by a group of industry leaders. During the 2010 People’s Choice Awards broadcast Jan. 6 on the CBS Television Network, fans were invited to vote exclusively online for their favorite pitch video. The People’s Choice website at www.peopleschoice.com serves as a year-round destination for entertainment enthusiasts to voice their opinions on pop culture. Now in its 36th year, The People’s Choice Awards is voted on entirely by the public for fan favorites in music, movies and television. Fred Nelson is the President of People’s Choice, and the website and awards show are produced by Procter & Gamble Productions. 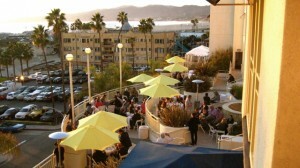 The business of independent motion picture production and distribution – a truly collaborative process – reaches its peak every year at the AFM when more than 8,000 industry leaders converge in Santa Monica for eight days of deal-making, screenings, seminars, premieres, networking and parties. Participants come from over 70 countries and include acquisition and development executives, agents, attorneys, directors, distributors, festival directors, financiers, film commissioners, producers, writers, the world’s press and all those who provide services to the motion picture industry. 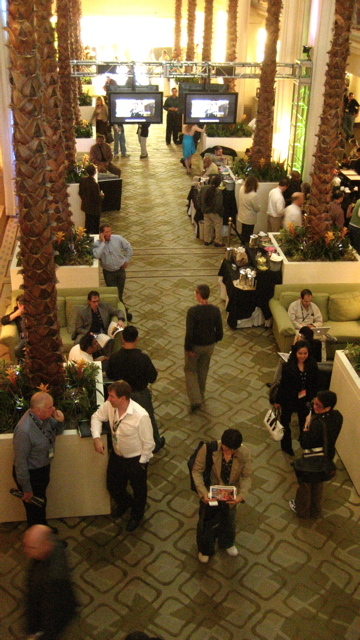 AFM is the premiere global marketplace where Hollywood’s decision-makers and trendsetters all gather under one roof. Unlike a film festival, the AFM is a marketplace where production and distribution deals are closed. In just eight days, more than $800 million in deals will be sealed — on both completed films and those that haven’t started shooting yet — making AFM the must-attend industry event. The AFM is produced by the Independent Film & Television Alliance (IFTA), the trade association representing the world’s producers and distributors of independent motion pictures and television programs. More information can be found at www.AmericanFilmMarket.com. 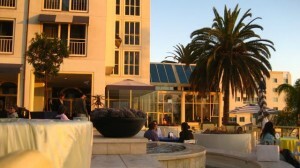 The 30th American Film Market opened today in Santa Monica. This year the AFM hosts a record 80-plus acquisition companies, more than doubling the amount of first-time participants in most previous years. Of the acquisition companies new to the AFM, 13 are from South Korea; 10 from the U.S; seven from Russia; five from China; and four from Canada. Additionally, there will be multiple buying companies joining from Brazil, France, Germany, Hungary India, Mexico, Spain and the Czech Republic. The number of exhibitors however has dropped by 43, from 412 last year to 369, representing a 10% decrease but on par with numbers earlier this decade. The AFM will screen 486 motion pictures in 28 languages, including 75 world premieres and 328 market premieres to buyers and industry professionals from more than 70 countries. Meanwhile, contrary to popular opinion, it is not all doom and gloom at this year’s AFM. Rising admissions figures around the globe and the breakout success of micro-budget films such as Paramount’s Paranormal Activity confirm the wisdom of creative financing combined with calculated, artistic risk-taking. While sales agents once came to Santa Monica confident of locking in perhaps 60% of the budget through pre-sales, in 2009 expectations are more modest as the slump in TV advertising and the flattening DVD sector means even the biggest sellers on the circuit are turning to other financing sources to make up the numbers. Gone are the reckless investors who created a glut of $40m-$50m product in the market — now the focus is on quality at both ends of the budget range. Japan used to be about as big a target as any sales agent could aim for, but these days it has become one of the toughest sells. Young audiences no longer regard US product as a must-see, be it studio or independent, and it is female audiences that drive viewing decisions. “We’re looking for projects with strong stories and emotional content that will appeal to Japanese audiences – something that is new and not necessarily star-driven,” says Avex Entertainment head of acquisitions Ken Umehara in Screen Daily. 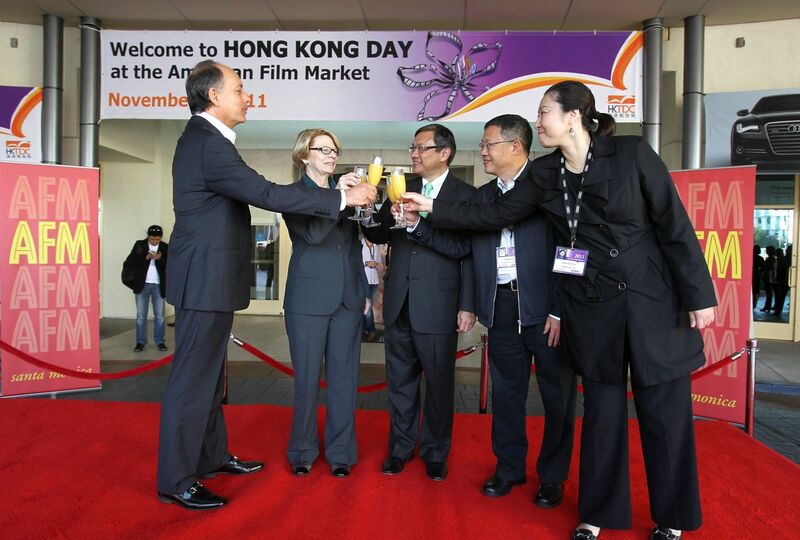 A total of 1,527 buyers representing 65 countries attended the American Film Market, which took place from November 5 to November 12. Buyers from the Middle East grew 25% from last year (to 40 from 32). Notable year-to-year buyer attendance from other territories include Russia (+14%), Germany (+7%), Hong Kong (+42%) and Korea (+18%). Exhibitor-affiliated participants totaled 3,791 and industry attendees (non-buyers and sellers) were 1,745. 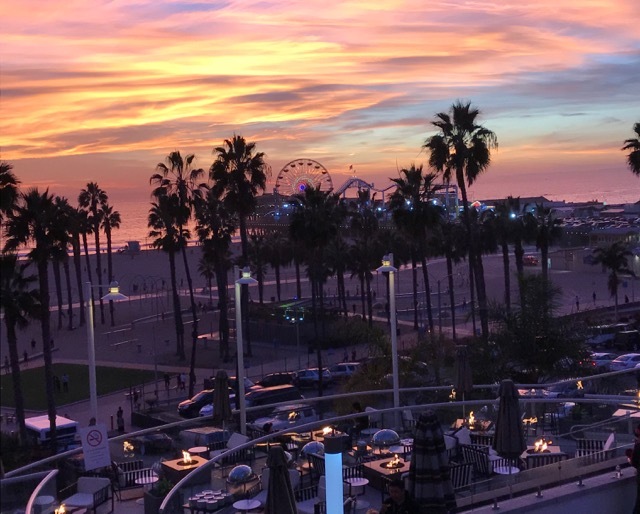 409 companies from 36 countries exhibited, which marks the fifth straight year the AFM has reached full capacity at the Loews Santa Monica Beach Hotel and Le Merigot Beach Hotel. Additionally, 527 films in 35 languages were screened during AFM. 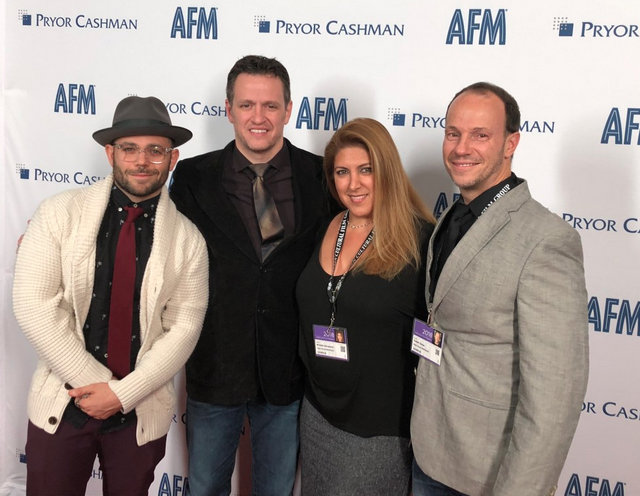 Founded in 1981, the AFM has become the premiere global marketplace where Hollywood’s decision-makers and trendsetters all gather under one roof. 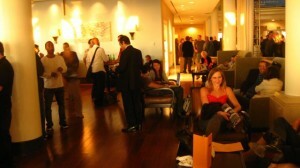 Unlike a film festival, the AFM is a marketplace where production and distribution deals are closed. The AFM is produced by the Independent Film & Television Alliance (IFTA), the trade association representing the world’s producers and distributors of independent motion pictures and television programs. More information can be found at http://www.ifta-online.org/afm. AFM 2009 will be held Wednesday, November 4 to Wednesday, November 11.